Time for a badass law duo to give us a break from the prim and proper, book-abiding Attorneys we've been seeing. 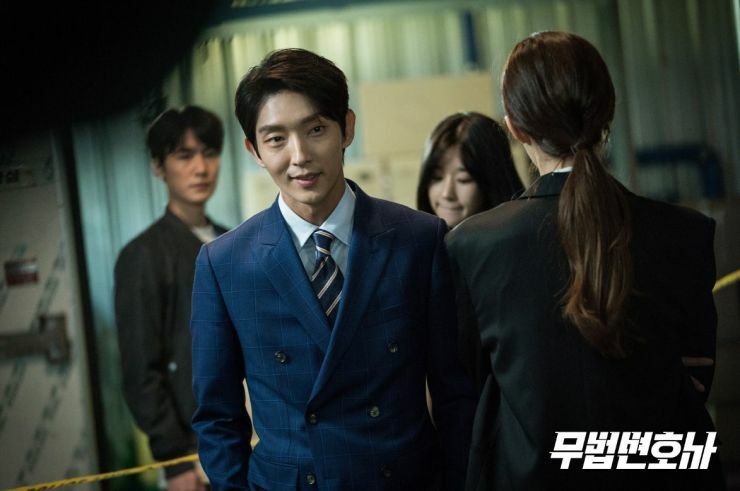 Lawless Lawyer is here to give us a fresh take on the Vigilante-esque Lawyer during a reign of Crime and Mystery dramas. About Bong Sang Pil (Lee Joon Gi) who witnesses the tragic death of his mother as a child at the hands of Ahn Oh Joo (Choi Min Soo) as he forcibly tries to obtain evidence revolving around a case Sang Pil's mother worked on as a Lawyer. Managing to flee her killers, Sang Pil finds shelter and family through his uncle, Choi Dae Woong (Ahn Nae Sang) a Gangster who raises Sang Pil and teaches him how to fight. Keeping his promise to his mother, Sang Pil becomes a Defence Lawyer using the law in the courtroom but his fists and wits outside of it, reinforcing the belief that, "one should know the law, to break the law." Moving back to his hometown, he sets up his own firm, wishing to unravel the case surrounding his mother's death in order to exact revenge. He hires Ha Jae Yi (Seo Ye Ji) as an Office Manager and Partner after she gets demoted from attacking a Judge (literally punching him in the face) but Sang Pil knows far more about her than he lets on. 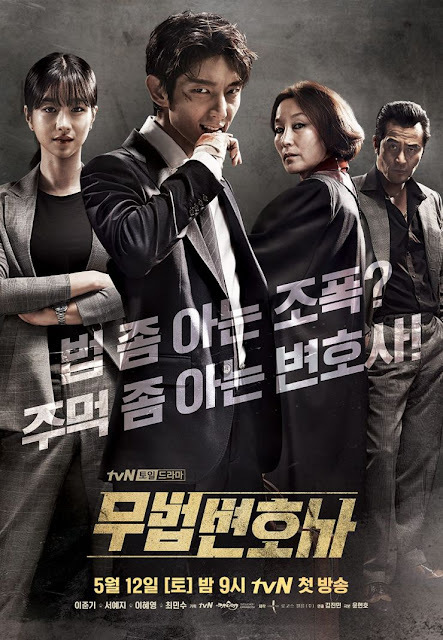 I have to hand it to the dramas that have been premiering recently, they've done nothing but impress and Lawless Lawyer is definitely one of them. 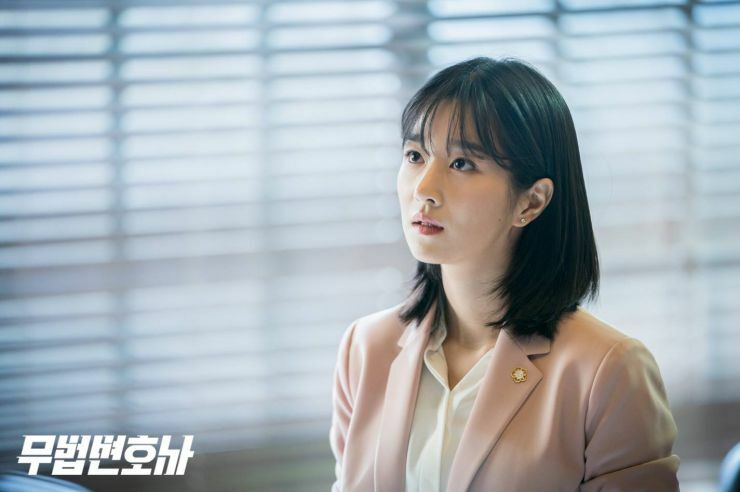 Unlike the Lawyers we've been seeing in dramas like Suits or Prosecutors in previous shows, this one is extremely entertaining with its rule-bending propensity. The pacing and scenes are timed perfectly, really utilizing the action scenes in conjunction to the courtroom and law-firm setting. In other words, there's never a dull moment and the drama can only be defined as snazzy since it's engrossing with a high production quality, interesting content, and great script. It's sleek and glossy, with a story that moves at a speed we can digest although you have to pay close attention otherwise, you might miss something vital. As far as casting in concerned, the main cast is like a gift from K-dramaland. I can't express enough how I've kept tabs on this ever since the casting was confirmed. We have two veteran actors who excel at whatever roles they take on but Lee Joon Gi and Seo Ye Ji have come out of previous projects gaining praise and great reception from the impressive acting they've displayed. And I have to give it to them, their scenes are simply captivating because the chemistry is sensational, from the intense banter to light flirting. 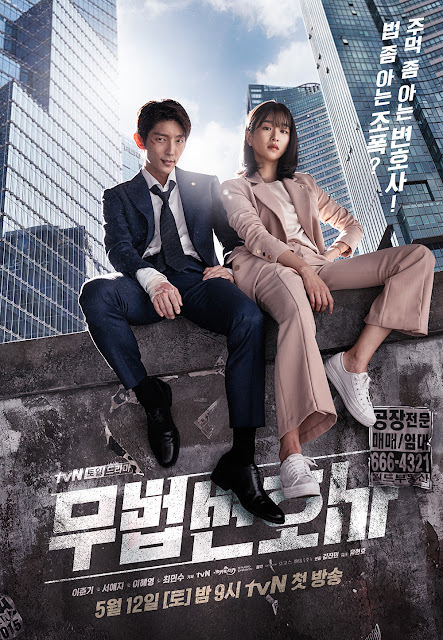 Out of all the law dramas that have come out recently, focusing on crime and courtroom affairs, this couple is a powerhouse duo that will have others make a run for their money. I've had to gradually warm-up to other main leads or overcome any form of dissatisfaction I might have, weighing my pros and cons, "do I like the leads or the script more?" And usually, a drama would fall flat from either but Lawless Lawyer gives me everything I want from a Law series and more. The action aspects are fluid, giving us great thug fights and Gangster meet-ups while the law elements aren't severely time consuming since our leads don't spend so much time muddled in paperwork and documentation. What makes this drama unique is how it combines various genres instead of solely focusing on 'law' because the revenge arch and corruption scandals all come back full circle to Gangster affiliation and the Judges and Lawyers who wash their hands clean of blood while being master puppeteers behind closed doors. 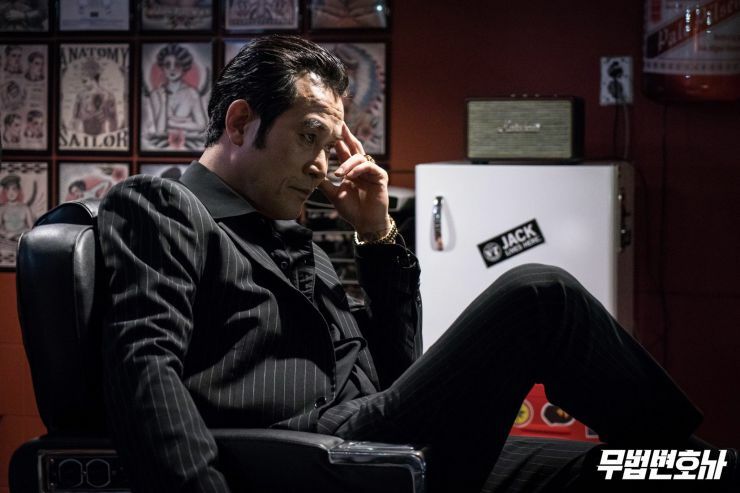 I was patiently waiting for Choi Min Soo to show up and when he did, you bet I had chills running up and down my spine because the man is simply terrifying when he's playing a villain! As a veteran actor, he'll be a complete scene stealer so I'm excited for a sizzling antagonistic atmosphere between him and Lee Joon Gi. Our screens just might crack from all the intensity. Or who knows, maybe the Writer has a bloodbath in store for us since Ahn Oh Joo has gone from Mobster to being the head of a large corporation - the higher up they are, the more gratifying it is to see them fall. I absolutely love our main leads and was proven wrong because I thought Sang Pil would be a lot more outlandish and violent but he only ever uses his fists to defend himself, never throwing the first punch. Ironic, considering the fact that our female lead doesn't mind throwing punches at people who use her status as a woman against her. She's feisty and up-right and overall, extremely likeable and admirable. Ha Jae Yi doesn't bend for anyone, upholding her morals so it'll be interesting to see how she accepts Sang Pil as a Lawyer who works outside of defined lines. 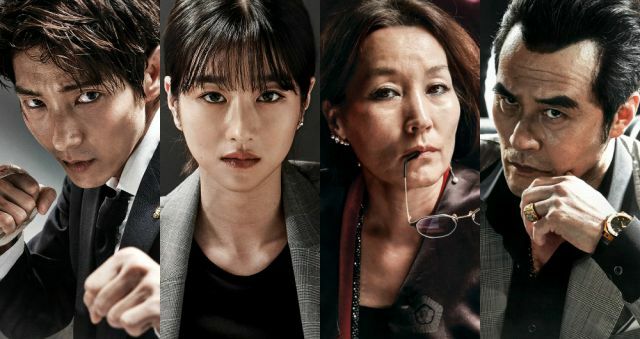 With a solid premiere and enthralling premise, Lawless Lawyer is sure to be an entertaining watch. 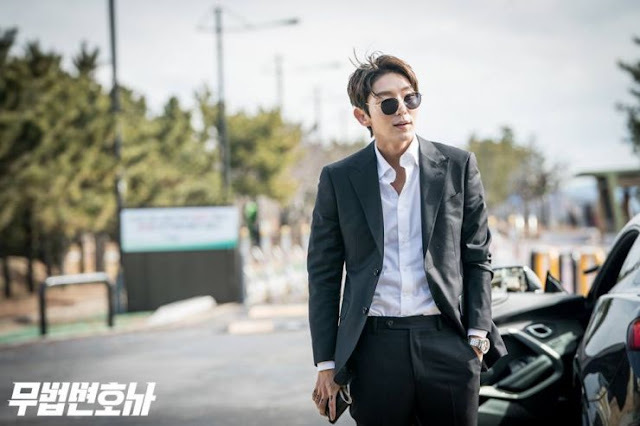 We've all been dying to see Lee Joon Gi back onscreen in a modern drama to wash away our blues from Scarlet Heart Ryeo (that did a number on all our souls). And he's definitely back to break a few hearts and have you falling in love with his bad boy persona with a sprinkle of wholesome savagery. My expectations were high to begin with, but after a great premiere, they're even higher than before. Can't wait to check this drama out now that the episodes are being subbed on Viki!